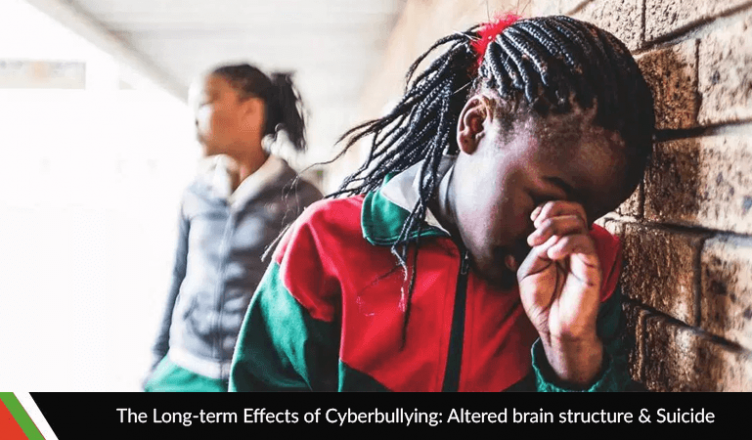 The proliferation of technology has brought an epoch of catastrophes on us, but cyberbullying certainly seems to be the most appalling one so far. But what exactly is causing this large-scale cyberbullying? The aggrandized use of social networking platforms could be attributed as the leading reason. But, cyberbullying isn’t about bruises, scars or broken bones as it’s with the traditional bullying. It may not directly cause physical harm to a person but its psychological repercussions are many and very serious ones with life-long scars not on a person’s body but their souls. Cyberbullying’s biggest impact is on brain development. The victims of cyberbullying often face crucial stages of anxiety, depression, stress, self-degradation, and drug abuse. Cyberbullying can even lead to horrifying crimes and suicidal thoughts among victims. As a matter of fact, a major portion of a child’s life is hidden from their parents. Nowadays, people spend more time on the internet regardless of their age. Research shows that on average, adults spend more than three hours on mobile devices. An annual increase of 11 minutes is expected in their online activities, which is, in fact, an alarming situation. Anyone could a victim of cyberbullying but it’s the teens who suffer the most with 59% of US teens experiencing at least some form of cyberbullying. Parents have no idea what their children are doing on the internet, who are their friends, where are they going, what kind of websites they are surfing, and what kind of issues they are facing. As everyone is busy with their own social circle and activities, even parents do not bother to have a check on their child’s activities. However, research shows only 1 in 10 teens shares their victimization with their parents. Parents need to have a check on both the online and offline activities of a child before it is too late as cyberbullying can not only damage their brain health but also may lead to many cybercrimes. The solution lies within watching over your children, knowing their every significant online move, and making sure they aren’t getting themselves (or others) in trouble. That’s certainly the only solution if you want to save your child from being bullied online. Brain research shows that bullying has become an unfortunate fragment of growing up. Cyberbullying could lead to long-term development changes in the human mind. These development changes can cause emotional and cognitive deficits. Cyberbullying also causes a change in the levels of stress hormones. The hormonal imbalances not only cause anger and violence among teenagers but also root physical and structural differences. The parents must notice emotional and behavioral change among children. As a parent, you need to analyze the reason behind such stressed out behavior. For that, you could refer to a monitoring application, such as XNSPY, to peek into their activities and social interactions without any intrusion. Cyberbullying is fueling crime among teenagers. The violent behavior developed in the victimized person leads to vengeance. They can hurt others and themselves, too. Nicole Fox Fenlon, a 21-year-old Irish girl gave up her life after being bullied for more than three years. There are a number of such suicidal cases and the worst part is that cyberbullying is a growing issue, for which makes for a strong case that parents should monitor their children’s online activities to save them from becoming both, i.e. bully or the victim. Parent, you need to realize how damaging cyberbullying could be for your children. Start with monitoring their social media and any behavioral change should be noticed before they might get themselves into any serious trouble.